The stela is a hieroglyphic list - formatted as a table, or outline, of the kings of ancient Egypt before and after Menes, with regnal years and notations of events up until the time it was created, likely sometime during, or up until, the fifth dynasty since that is when its chronology ends. It also tabulates such information as the height of the Nile flood, the Inundation for some pharaohs (see Nilometer), and information on the festivals (such as Sed festivals), taxation, sculpture, buildings, and warfare for some. Later lists, namely the Turin Canon (13th century BC) and the Karnak king list, identify Menes (c. 3100 or 3000) as the first king of the first dynasty and credit him with unifying Egypt. However, the Palermo stone, which is substantially older, lists rulers who predate Menes. This may indicate that the unification of Egypt occurred earlier than Menes's reign and that he simply reunited the nation after a period of fragmentation. However, scholars are divided on the implications of the stela. Some believe the earlier pharaohs existed historically, while others believe that their inclusion in the list has only ideological value (i.e., there must have been disorder before order). 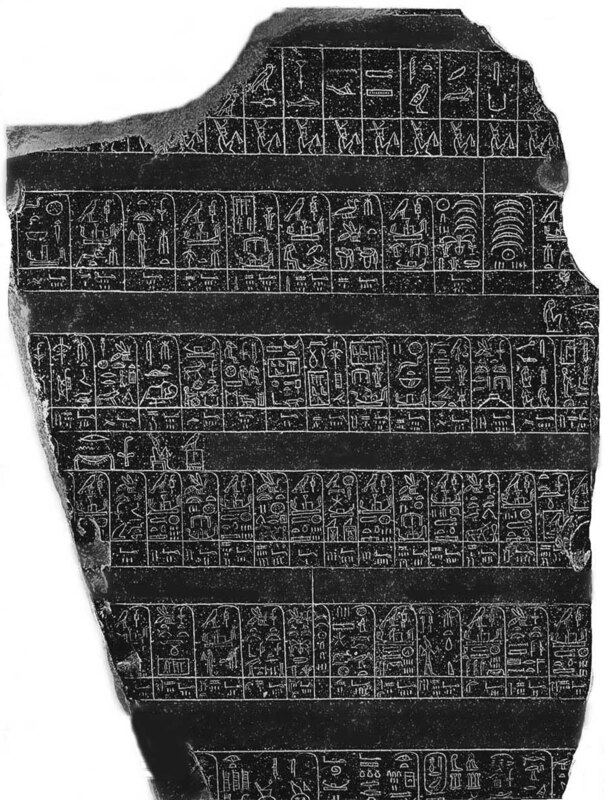 The Palermo Stone is an ancient Egyptian stela of black basalt engraved toward the end of the 5th dynasty (twenty-fifth century BC). It is probably the earliest Egyptian historical text. Now in a number of fragments, it details the reigns of the first Egyptian kings through the middle of the 5th dynasty and was doubtless among the documents Manetho used to construct his dynastic chronology. Unfortunately, most of the information concerning the first and second dynasties has not survived. It is a hieroglyphic list of the kings of ancient Egypt before and after Menes, with regnal years and notations of events. It also includes such information as the height of the flooding of the Nile in various years, (see nilometer), information on cult ceremonies, taxation, sculpture, buildings and warfare. Many king lists that exist from later dates, such as the Turin Canon (13th century BCE) and the Karnak List of Kings, identify Menes (c. 3100-3000) as the first king of the first Dynasty and credit him with unifying Egypt. However, the Palermo Stone, which is substantially older, lists rulers that predate Menes. It seems to indicate that the unification of Egypt occurred earlier than Menes' rule and that he simply reunited the nation after a period of fragmentation. Scholars are divided on how to interpret the implications of the stone. Some believe the earlier kings existed historically while others believe that their inclusion in the king list has only ideological value (i.e., there must have been disorder before order). The king list covers the period from the Old Kingdom back thousands of years into the predynastic period. It chronicles these mythical kings until the time of the god Horus, who is said to have given the throne to the human king, Menes. Then, hundreds of rulers are listed up to the 5th dynasty. The rows of compartments, containing inscriptions summarizing the main events of a particular year, are each separated by the Hieroglyph rempet, signifying a regnal year of the king. However, it is likely that the stone actually refers to biennial cattle censuses, rather then the actual number of years that the king reigned.